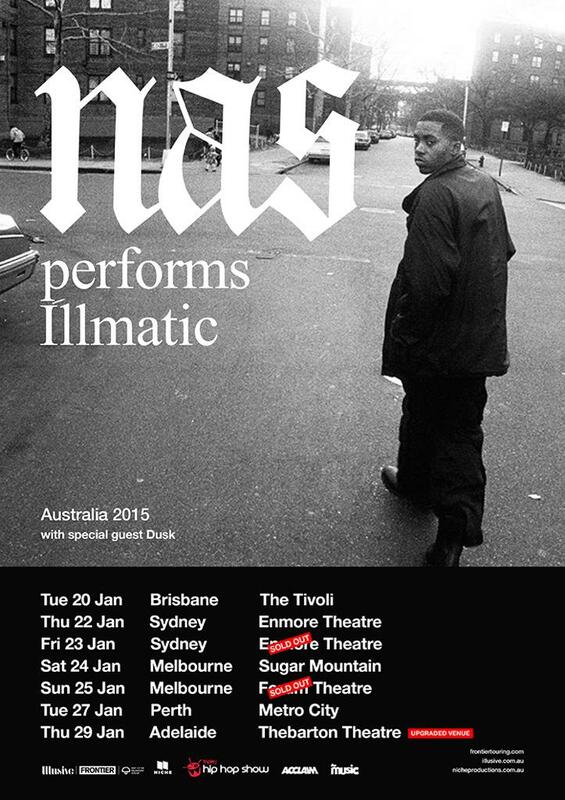 With a debut EP on the way I’m pleased to announce that I’ll be supporting NAS on his Australian ‘Illmatic’ tour in January, 2015. The tour will take place in five capital cities from the 20th to the 29th January. I recently finished a debut EP titled ‘Key of the Sun’. A six track hip hop/rap album, featuring the Australian hip hop group Hilltop Hoods, and female vocalist, Jane Tyrrell. ‘Evolve’ and ‘Way Back Home’, two tracks from the EP, will be released at the beginning of 2015. ‘Way Back Home’ will also feature a music video shot by Selina Miles in New Orleans. Can’t wait to share my music with you, to play live and support NAS on his Australian ‘Illmatic’ tour!!! For more information on the upcoming tour click here!